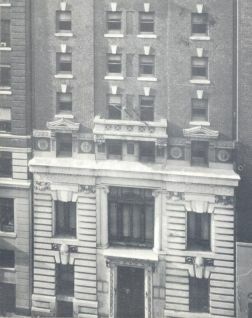 Touro College first opened at 30 West 44th Street in Manhattan in 1971. At the behest of Rabbi Dr. Bernard Lander, founder and then-president of Touro College, the Archives was created in 2007 to preserve the history of Touro College. The collection comprises 160 acid-free containers containing over 212 linear feet of papers. The bulk of the collection consists of Dr. Lander’s papers with ongoing accessions from various programs and deans. The Archives are located at the Midtown campus. For more information, contact College Archivist Philip Papas.